She is Qualified Fellow Company Secretary from The Institute of Company Secretaries of India, holds a degree of Chartered Secretary from The Institute of Chartered Secretaries and Administrators of England and Wales, a Law Graduate and a Certified Director from The World Council of Corporate Governance having a professional experience of more than 15 years. She is awarded with Highest Honor “Doctor of Excellence-Honoris Causa” by Confederation of International Accreditation Commission, Global in cooperation with KEISS International University, South Korea. She is also awarded Award of Excellence by World Peacemakers & Diplomats Global Organisation in association with Confederation of International Accreditation Commission, Global in association with Srilanka United Nations Friendship Organisation. She received Women Appreciation and Achiever 2013 Trophy from worthy hands of Smt Smriti Irani , MP- BJP. She created an organization that has been at the forefront of the corporate culture, having advised and represented corporate clients from across the country. Her incessant curiosity for integrity, learning and determination has led to the firm’s evolution. As patient and inspiring leader, she pulls from the group’s diverse and unique skill set to push the capabilities to the next level and ensure that the output from the team exceeds all expectations. She has a contagious passion and an unwavering commitment to create the best work and empowering herself and all the stakeholders of the firm. 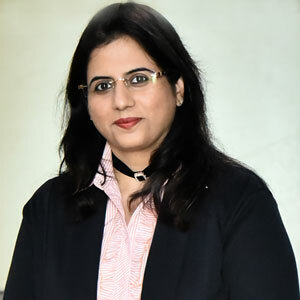 Niral brings a wealth of management, accounting and finance experience to Shilpi Thapar & Associates where he leads the efforts to create an entire system of accounting, finance and monitoring. He loves challenges and problem solving, balancing data and numbers with intuition to make informed decisions. Prior to Shilpi Thapar & Associates, he led the teams at Coral Gala Ltd., Mill Hill East, London as Assistant Manager and NASA Firetech Inc where he leading various departments for development of effective & efficient management system. Niral holds a Bachelor of Commerce from Gujarat University, Post Graduate Diploma in Finance and Corporate Banking from London Institute of Technology (Harrow). He also holds certificate of Internal Auditor for Quality and System Management from TUV SUD. 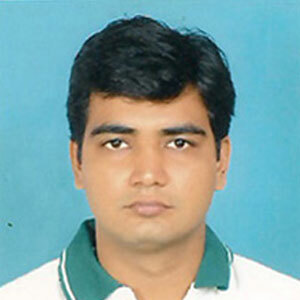 Palak joins the team at Shilpi Thapar & Associates with a diverse range of experience. Having worked under a chartered accountancy firm, a law firm and a practicing company secretary firm, she has seen a swath of corporate law and legal needs of varied corporations. She leverages this varied background to address client challenges, combining critical thinking with knowledge of laws and provisions to build impactful solutions. She is heading research and legal representations division of the firm. 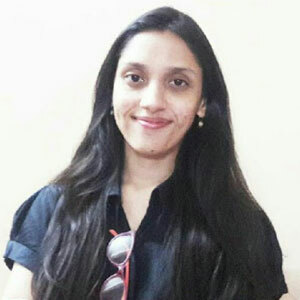 She holds LLB and Bachelor of Commerce from H L College of Commerce, is a Company Secretary and is also a Gold Medalist in All India Painting Exhibition. Working with the leadership, the team and clients, Bhavesh gives each assignment the assistance it needs to succeed – be it through researching various laws and provisions, reshaping existing work, concepting a creative solution, or developing an effective tool. While each assignment doesn’t always require simplification, he enjoys the challenge of taking complex problem and communicating them in a simple way for a client’s audience. Shweta is B.Com Graduate with First Division from Rajasthan University and a Qualified Company Secretary . She handles secretarial matters of our South Gujarat Clients. She is dedicated professional with good soft skills.